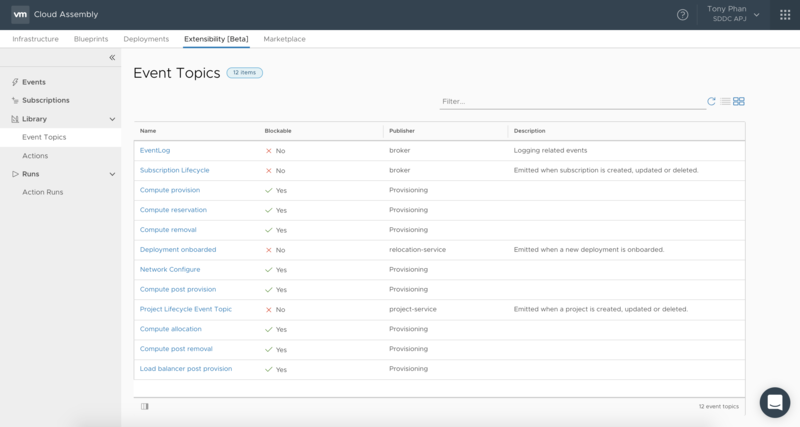 Over the last week, we’ve both been diving deep into extensibility with VMware’s new Cloud Automation Services, specifically Cloud Assembly. This was particularly interesting to us as previously we spent the majority of our time living and breathing vRealize Orchestrator in our consulting days. There is a fair amount to cover so we decide to split the blog post into two parts. This blog post will focus on ABX extensibility and not long after we’ll release vRO extensibility. 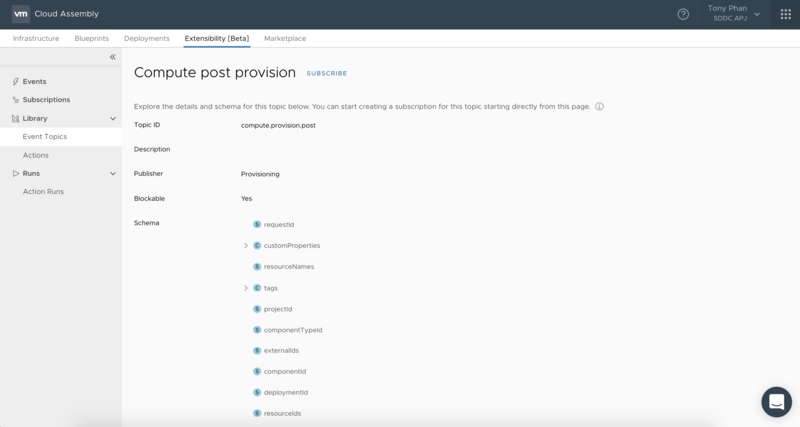 For those familiar with vRealize Automation’s Event Broker Service (EBS), Cloud Assembly has the same concept where you can configure subscriptions to trigger actions based on certain lifecycle events and filters. Here are the Event Topics available today, we suspect as the product evolves more will be made available. Below you’ll see us demonstrate and use Compute provision post and Compute post removal event topics as part of our Enterprise ITSM use case. Note: Compute provision pre is before creation of an instance, and Compute provision post is after. In term of understanding what data is available at each event, the events schema should be referenced. The schema describes the structure of the events payload or inputProperties. Filters can be applied on subscriptions to set boolean based conditions for the event, I.e. the event and action would only trigger if the boolean expression is ‘true’. This is particularly useful for controlling when events and actions are triggered, E.g. Say, you only wanted to execute an action based on a specific project. Other common scenarios are for blueprints, components, tags or even custom properties. Hint, hit “⌥ + Space” on Mac or “Alt + Space” on Windows to show the options available in the filter input. Once you have configured the subscription filters, you then specify the item to execute for this new subscription. The items appear in the drop down list, its worth mentioning that you should test them independently first before integrating into your subscription. 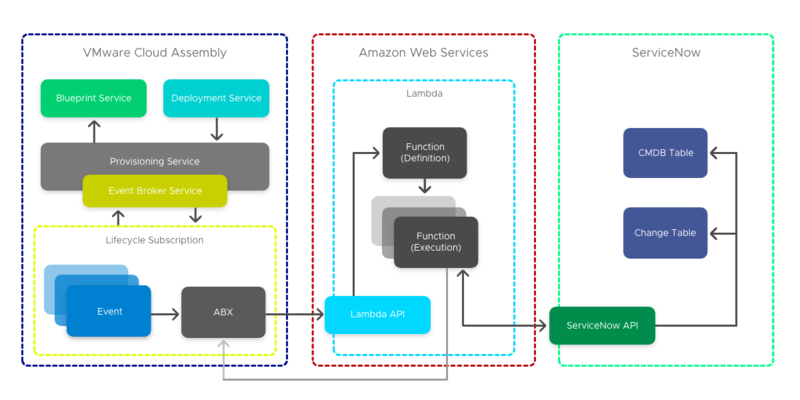 Action Based eXtensibility allows for the execution of serverless functions to extend the product capability based on your use case. 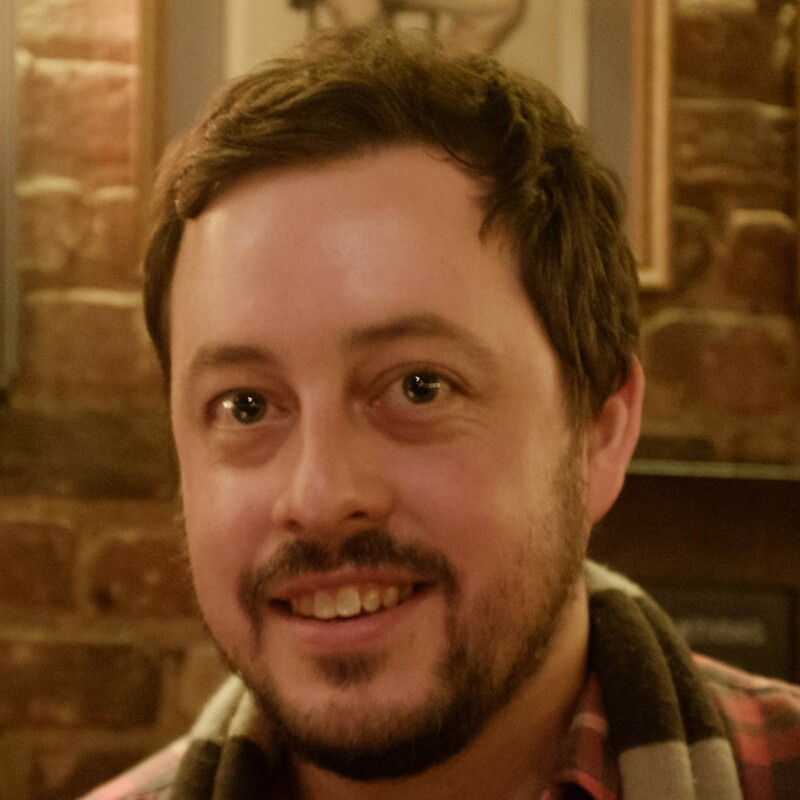 ABX today, supports two run-time environments, Node.js or Python. Our view is this can be thought of as a lightweight orchestration engine, providing a quick and efficient programmable method for integrating with other Cloud services. The event payload data contains all the relevant properties that are passed through during that lifecycle state (Event Topic), it’s important to understand this as certain states may contain different data. Once you know what is available in the payload data you can use the inputProperties easily in your action. A useful way to examine the payload is to create a separate action and a subscription with the relevant state. It’s also possible to directly access any item within the schema even if not specified under inputs in the ui. See the below example to access a property value within customProperties in the event schema. Outputs are used for returning values or updating properties withín the payload for use in subsequent actions. You can update properties within the same event and the subsequent action event will receive the updated payload. Below is a code example for update the properties within an ABX action. A common enterprise use case for any Cloud Management Platform or Automation is integrating with an IT Service Management (ITSM) and Configuration Management Database (CMDB) platform such as ServiceNow for compliance. Here we’ll demonstrate integrating with ServiceNow for CMDB and ITSM using ABX. Because our ServiceNow instance is a Cloud service, this is a perfect way to leverage ABX. For this example we have broken the ServiceNow integration down into four serverless actions. The first three actions are executed at provisioning time, at the Compute provision post event, each at a different priority in this case for sequential execution. The events used and priority order may vary depending on the customer requirements. The image outlines the actions and order of execution based on subscription priority. The last action is executed at the Compute removal post event. For this use case we filtered all event subscription based on a conditional blueprint property which exists on our blueprints requiring SNOW integration. A request is made to the CAS IaaS API to get the required details, authenticating with a stored identity token. This value is stored securely in AWS Systems Manager Parameter Store (SSM) and referenced in code. 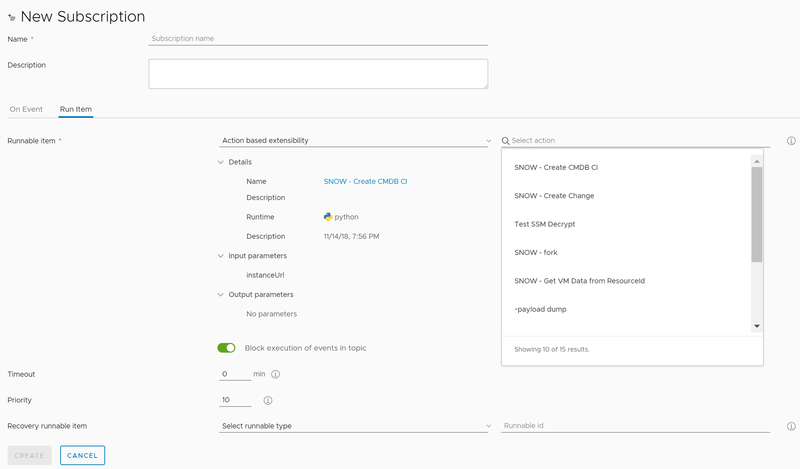 url = baseUri + "/iaas/login"
Note: Appropriate additional permissions need to be allocated to your CAS AWS role to allow Lambda to access SSM Parameter Store and decrypt secrets. Parsing various properties from the event payload, such as name, cpu, memory, etc. This actions makes a REST call to ServiceNow to mark the CI as retired based on the custom property “serviceNowSysId” which was previously written to the instance on CI creation. Example data as a result of this ABX integration can be seen below in ServiceNow CMDB. Note: These examples are provided as a means to demonstrate the use case, but whilst functional should not be considered production ready, additional considerations should be taken for production including error handling. You can import a copy of the ABX actions mentioned above using the bundle below. Next up we’ll look at the same ServiceNow integration use case but instead use vRO to extend Cloud Assembly.